Although he has been fascinated with martial arts study for most of his life, Shihan Scott Campsall started seriously training with Hanshi Fred Walker in 1994. Five years later, under Hanshi Walker's guidance, he founded Okami Kai which provides award winning martial arts education to the Uxbridge, Ontario area. He now currently trains with 9th degree black belt Hanshi Cezar Borkowski of Northern Karate Schools in Toronto. Under Hanshi Borkowski's guidance, he is always adapting and evolving his martial arts knowledge to not only further his own development, but the Okami Kai student's as well. On September 24, 2011, Shihan Scott Campsall was promoted to the rank of Godan (5th degree) black belt in the art of Karate by Hanshi Borkowski accompanied by 10th Degree black belts Masami Tsuruoka, Tetsuhiro Hokama, and Kiyonori Shiroma. He was given the title of Shihan (Master Instructor on May 31, 2015. On March 11, 2017, Hanshi Borkowski promoted Shihan to Rokudan (6th degree) black belt. His journey into Yoshinkai Aikido training began in early 2003 under the guidance of 9th degree black belt Hanshi Kevin Blok of Windsor, Ontario. He obtained his Nidan (second degree) black belt in Aikido on August 10, 2017 and has also obtained his Shodan (first degree black belt) in Iaido from Hanshi Blok on May 30, 2015. Shihan Campsall also works as an Instructor Trainer with Hanshi Blok's company, On Guard International. He has also been certified in Non-Physical Crisis Intervention and as an adjustable baton instructor. Shihan says he has never met a martial art he didn't like and this shows in his persistent desire to learn from the best teachers in the world. The phrase "Kyudo Mugen" means the "pathway of learning never ends". Shihan not only believes this, he constantly demonstrates it by training every chance he gets. Brian Aylward Renshi is a sixth degree black belt in Jiu-Jitsu. He was one of four members chosen to teach P.M.P.D of the R.C.M.P. (Prime Minister's Body Guards). Trained, taught and competed in Mixed Martial Arts. Regularly teaches at local high schools and primary schools. Born in Scarborough Ontario, Dave Boudreau Sensei started his martial arts training at the age of 18. From 1986 to 1992 he trained in Wushu Kung fu and kick boxing at the Canadian Chinese Martial Arts Centre also known as Sun Looug Kung fu in Scarborough with chief instructor Loong Wong. Student of the Hung Luck Kung Fu Club in Toronto. Dave Boudreau Renshi started training in Shotokan Karate in 2000 at Okami Kai. In 2006 he achieved his Shodan (first degree) black belt. His son, Jessie, who is the eldest of three children, earned his Shodan rank quickly afterward. Jessie now has his Nidan (second degree) black belt while Boudreau Renshi's daughter, Rachael is currently working towards her Shodan. Boudreau Renshi has since then achieved his Nidan black belt rank which he received in December 2010 his Sandan (third degree) black belt rank in June 2014 and Yondan (forth degree) black belt rank in December 2017. Boudreau Renshi presently teaches Youth and Adult classes at Okami Kai under Chief Instructor Scott Campsall Shihan. His future goals include developing his Karate and weapons knowledge and continuing to move up in rank in Karate. Wally Blacklock Sensei has studied karate with Okami Kai since 2002. He achieved his Nidan (second degree) black belt rank in June, 2011.
and his Sandan (third degree) black belt in June 2014. Through the Okami Kai curriculum and additional seminars and events, he has acquired some ability in aikido, judo and jujitsu. He has studied the use of sai, nunchuku, tonfa and bo as weapons. He has completed the On Guard Defense and Control Tactics Training Program becoming a Basic Level instructor. In addition, he is an instructor of the Li'l Dragons Karate program at Okami Kai. Sensei Wally Blacklock believes that "perfect" practice makes perfect and that skills are built one on another. He realizes the importance of training seriously and often. He has come to fully appreciate this in his work as a psychoeducational therapist and as a student in karate. He works tutoring academics with children and young adults that have fallen behind at school or have developmental disorders and delays. Jonathan Gladstone Sensei has been studying Karate at the Okamikan since 2002, and has been the co-ordinator of our Demo Teams since 2005. He achieved his Shodan (first degree black belt) rank in December, 2008; Nidan (second degree) in December, 2011; and Sandan (third degree) in June, 2016. Karate is a family affair for Gladstone Sensei. One of his sons, Sensei Simon, graded with him from white belt through Shodan at Okami Kai; he enjoys support for his training activities from his wife, Liz, and their other son, Ben. He studied Judo briefly as a child, but most of Gladstone Sensei’s training in Karate and other martial arts has been with or through the Okamikan in Uxbridge. He says he “enjoys the warm, friendly and family-oriented community where we study martial arts seriously and with rigour without losing touch with fun.” Gladstone Sensei studies Iaido (sword) at Okami Kai along with Karate and, outside of the home dojo, has also studied Tai Chi. Gladstone Sensei is a Professional Engineer (Ontario) who works full-time on large computer systems at a Canadian bank, and is a part-time instructor in the School of Computer Studies at Georgian College in Barrie, ON. He is an inveterate volunteer who works with both children and adults in a variety of activities. He coached and organized children’s baseball in Uxbridge for many years and delivered Junior Achievement programs at a local elementary school for about a decade. Currently he also helps run adult and children’s programs at Okami Kai and at a local squash club, participates actively in various committees at his synagogue, and volunteers extensively with CMG, an academic organization of computer professionals where he is on the Board of Directors. Steve has been teaching with Okami Kai since 2012. He is a certified C.D.T instructor and also holds instructor certifications in Tactical Handcuffing, and Expandable Baton use. Through his training as a Cash-In-Transit officer and security professional, Steve is also trained in active shooter response, tactical communications, weapon defense, advanced firearm training, crisis negotiations, counterfeit currency detection, threat recognition, weapon defense, and emergency survival strategies. Steve has worked in many sectors of the private security industry including areas such as armed cash in transit, uniformed security, undercover loss prevention, and VIP close protection for individuals such as UFC fighter Randy Couture, Canadian band Hedley, and international hip-hop artist Snoop Dogg. Steven plans to continue his personal training while passing on his knowledge to others about force decisions in real life altercations. Jennifer has enjoyed transferring her passion for teaching and her own fitness goals into helping others to work to find their own physical and emotional potential and depth through fitness and wellness. She enjoys a multitude of physical activities including running, cycling, weight lifting and martial arts and received her 1st degree black belt in September 2018. Jennifer's experience as a Fitness Instructor expands through many disciplines including Spin, HIIT and Bootcamp while also taking a strong role in our karate program as a lead instructor in our Li'l Dragons Martial Arts program for 3-6 year olds. Anika is a certified 200 hr yoga instructor. Fitness and health have always been a huge part of her life. She grew up as a competitive swimmer as well as a competitive dancer. She was always on the move and loved keeping busy. When she was first introduced to yoga, she attended classes for the soul purpose of strengthening and lengthening her muscles. She was totally in it for the physical benefits. The further she studied and practiced yoga, the more she noticed her mental health improving. 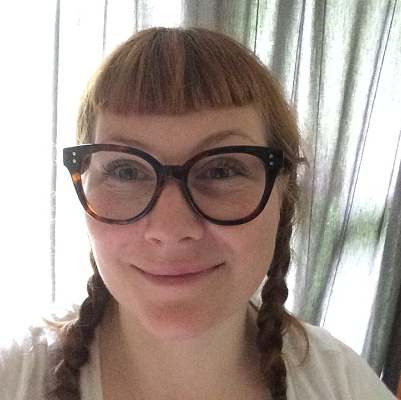 Anika struggled with anxiety growing up and was always searching for the best way to cope. She was surprised by how much yoga could calm her down. The breathing techniques and meditation helped her look inward and see the beauty inside. She has learned to love herself and love others even more. Anika hopes to share her passion of yoga to all! We are all BEAUTIFUL and deserve the fullest and happiest lives! Namaste. Maggy has been in the fitness industry since her late teens, and certified PT & FIS for over 10 years. She is passionate and sincere with her love for fitness and educating others. She enjoys inspiring people in recognizing the important of health & wellness. Her energy is contagious and she embraces the challenge of motivating others to recognize their abilities and potential. Maggy brings her teaching experience to classes such as Yoga, Spinning, HIIT, Pilates, Step, and working with Older Adults. Maggy is a Mom of 2 active boys and some of her personal interests vary from cycling, hiking, squash, tennis, baseball, running, reading, cooking. We are thrilled to be affiliated with Professor Fernando Zulick (Gringo Jiu-Jitsu). 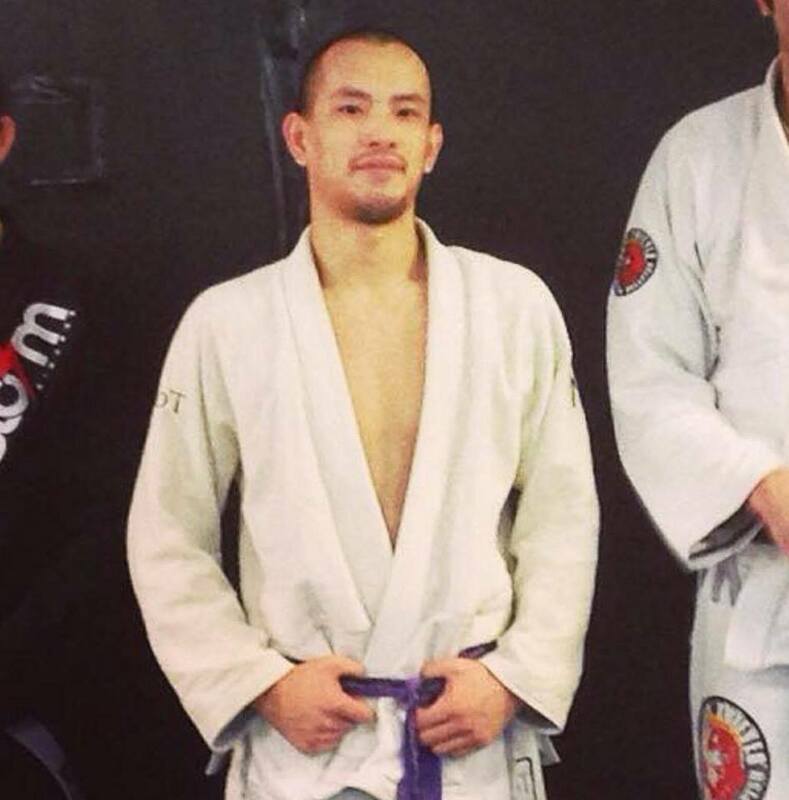 Our instructor, James An has been training in Brazilian Jiu-Jitsu since 2008 under Royler Gracie black belt Chad King , and currently holds the rank of brown belt which he received from the Lenon Brothers (Zach and Ezra) in 2015. James constantly travels to further his learning and training . James began coaching and helping classes at blue belt where he discovered his love for teaching. He has also competed since 2008 locally and internationally placing in numerous tournaments including the Gracie worlds in 2012 and the Ontario open and Provincials multiple times. Rachel's yoga journey began in 2009 and once she started she just couldn't stop! "Yoga has brought positive feelings and energies into my life, I feel like a rejuvenated person after every yoga class. I love teaching yoga as I feel as though I am helping lighten the load that we carry with us everyday." Rachel likes to bring a calm and warm feeling into her classes. Bringing awareness of your body and how you are feeling in each posture and class is very important to her. Yoga is a time for yourself, soak up the feeling of the happy-calm-bring-joy that yoga brings into your life. Rachel completed her 200-hour teacher training course in 2011 and trained in Feel Soul Good Yoga; which is a spin off of a classical Hatha style yoga. After practicing Yoga for many years, Maureen completed a yoga teacher training at YogaSpace in Toronto in 2004/2005 and has been teaching yoga ever since. She furthered her practice and teaching by attending The Krishnamacharya Yoga Mandiram in Chennai, India in 2006, which focused on Vedic chanting, Pranayama (breathing techniques), asana (postures), and dhyana (meditation). Her continued education has included many intensive workshops and further certification in restorative yoga, pre-natal yoga, and post-natal yoga. Mo teaches classical Vinyasa, which is meant to strengthen the connection between the body and mind through the breath. This is achieved through thoughtful asana sequencing and breath work. Each class is different and each class strives to explore this connection.